Independent Reading - Welcome to Mrs. Dudek's Class Page! Pick 1 project. Download the rubric BEFORE you begin! Rewrite the last chapter of your book. Include a paragraph explaining how your ending is different from the original ending, and why you changed it. The alternate ending must be 1 1⁄2+ pages, typed, Times New Roman 12 point font, double-spaced, with 1” margins. Create a board game that includes important aspects of your novel. You must create the box, board, pieces, cards, etc. Also write a paragraph explaining how the game relates to your novel. Create a new book jacket for the novel. Include a spine, summary, About the Author, reviews, and cover art. All illustrations except the picture of the author must be created by you. The jacket must be printed and folded to look like a book jacket. DO NOT copy the original book jacket. Write a 1 1/2+ page book report. 1. Briefly summarize the story. 2. Write why it was/was not a good book. 3. Convince a friend why s/he should/should not read it. All reports must be typed, double spaced, Times New Roman 12 point font with 1” margins. Make a travel brochure for the setting of the novel. Include at least information about local culture, entertainment, and what makes the place unique. Don’t forget the art! All illustrations must be created by you. Draw a cartoon that tells the entire story. It must have at least 15 frames and dialogue. Cartoon must be detailed and either colored or shaded. Turn the novel into a children’s book. It must have at least 13 pages. Each page must have an illustration that was created by you. Include ALL important events from the story! You can make it by hand or electronically. Pretend you are the main character. Write at least 5 diary entries of 15+ lines. Include how you feel and why. Don’t forget to use first person! Pick 5 important scenes from the novel. Illustrate each one on 8 1/2 by 11 paper. You may use crayons, colored pencil, paints, or any other medium. For each picture, write a paragraph explaining why you chose this scene. Pretend you are a reporter who just witnessed an important scene from the novel. Write an article about it. Include who, what, when, where, why, and how. 1 1/2+ pages, typed, double-spaced, 12 point, Times New Roman font with 1” margins. Retell the book using 15+ pictures and a caption for each one. Pictures must be taken by you, not found online. Write 2 poems (14+ lines each or 4 poems with 7+ lines) about how a character feels at particular point in the story. Write a paragraph for each poem explaining why you chose this part of the story, and why the character feels the way she does. Select an important scene. Write a script, and gather costumes and props. Memorize your lines, and record your scene. Also, write a paragraph explaining why you chose this particular scene. Mrs. Dudek's Creation -If I can do it so can you! What is a book trailer? A "trailer" is a brief video synopsis of a book or movie, designed to entice viewers to see the entire work. Your job is to create a Book Trailer for the novel your group read for independent reading. The best way to start is by watching other book trailers. They can be found by performing a search on YouTube, or by visiting author's websites (although, of course, not all books have trailers). In order to create this project, you can use any technology you wish. Some suggestions: iMovie, Windows Movie Maker, or your digital camera or cell phone. I understand that not everyone is well versed in movie making, myself included. My suggestion is to play around with the technology, look up movie making tutorials on YouTube, ask your friends and family for help, or scour the internet for solutions. As you watch the trailers above keep note of which trailers really stand out, and what makes them so captivating. 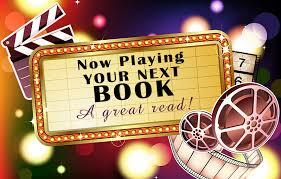 Would this trailer entice you to go out and buy the book or see the movie? Why? Using the Book Trailer Project Plot Planner determine 4 scenes from your novel that best represent the essential elements of the plot. Using the resources provided to find the elements (sound, video, pictures) that you will be incorporating into the creation of your trailer. For many, this is the most fun part of the process. There are many images available online, free of cost. A few places to search include Creative Commons, Flickr (be sure the photos are not copyrighted first), or Google Images (just select "labeled for commercial reuse" under Usage Rights). Take a look at your plot planner and consider which images your might want to use in your trailer. This could mean pictures of characters in certain situations, or it could be more symbolic images. It isn't always easy to find pictures of people that look the way your imagine the characters, and that's okay. The pictures can be of setting, objects important to the story, or anything else the you think important. It's a chance to be creative and make a trailer rich with symbolism. Here are some sites that will help you find the visual and audio elements for your trailer. If you are an artist at heart do not hesitate to draw your own sketches for the trailer. Using your own voice for the audio can also make a BIG impact! Using one of the technologies below (or one of your choice) create your book trailer. Of course, many book trailers incorporate video. However, that is both more time consuming and more difficult to accomplish. Many persuasive book trailers are very effective using only images and words!! You can certainly create a video is you feel up to it but, for a basic trailer, all that's necessary is a timed slideshow arranged so that the phrases line up accordingly with the images using a source such as Google Presentations (log into colonial.net google and "create new" presentation) or Keynote (found in applications on your mac). http://flixtime.com/Create 60 minute videos. If you want to limit the length of the student's project this would be the choice. This could mean more impact in less time! Jaycut Free online video editing platform that includes options for motion effects, recording and color editing.